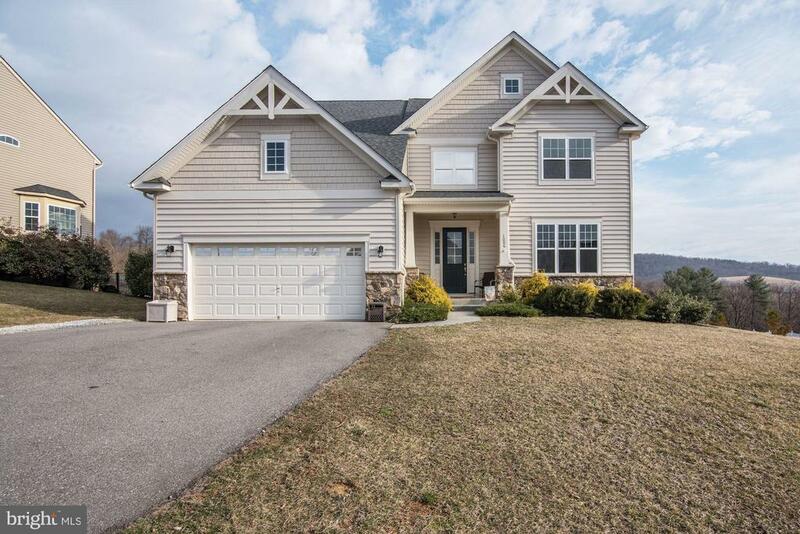 All Myersville homes currently listed for sale in Myersville as of 04/23/2019 are shown below. You can change the search criteria at any time by pressing the 'Change Search' button below. If you have any questions or you would like more information about any Myersville homes for sale or other Myersville real estate, please contact us and one of our knowledgeable Myersville REALTORS® would be pleased to assist you. "Best value in town! Just reduced $125,000.00! 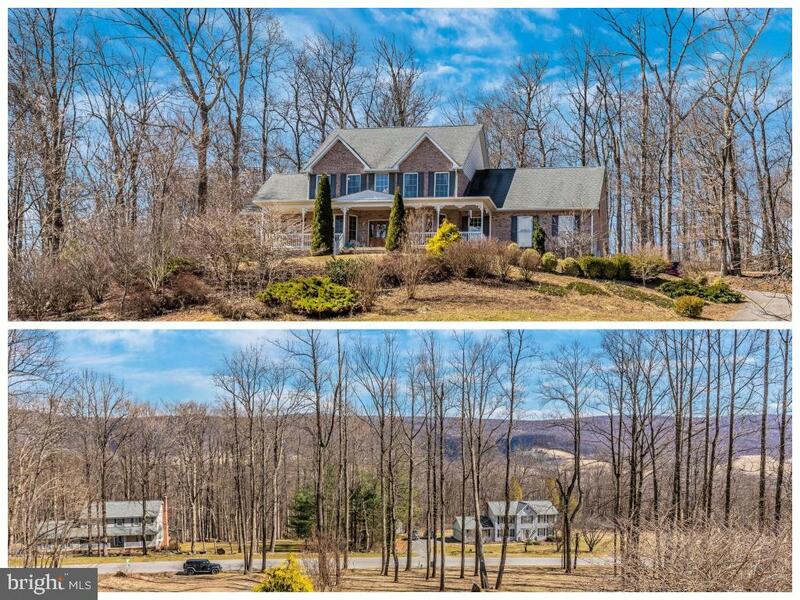 Country estate beautifully sited on 41 acres with incredible panoramic views. 6BR, 6FB modern styled colonial with separate guest quarters. Over 6,000 sq. 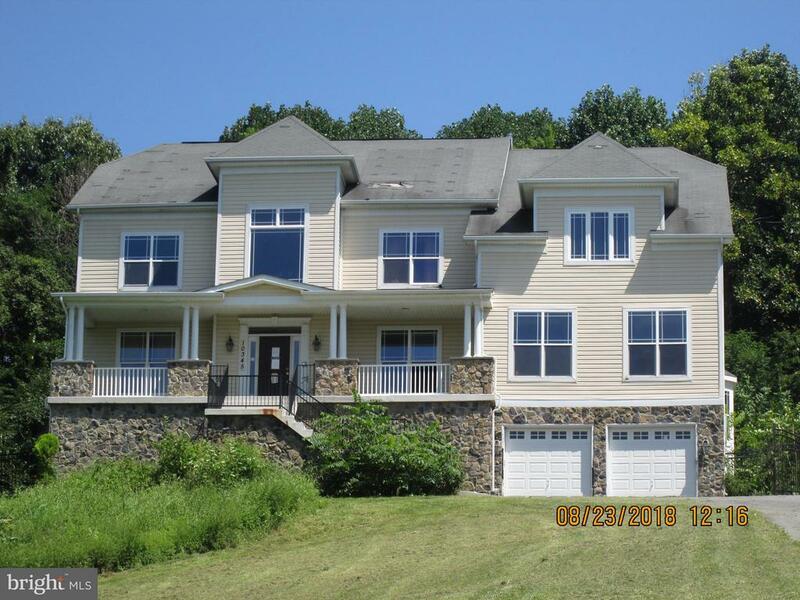 ft., 3 finished levels, gourmet updated kitchen, home theater, porches, hardiplank siding, 3 car garage, the list goes on. Recently built horse stable with six 14 x 14 stalls, tack room, viewing room/office, ring, storage shed, fencing." 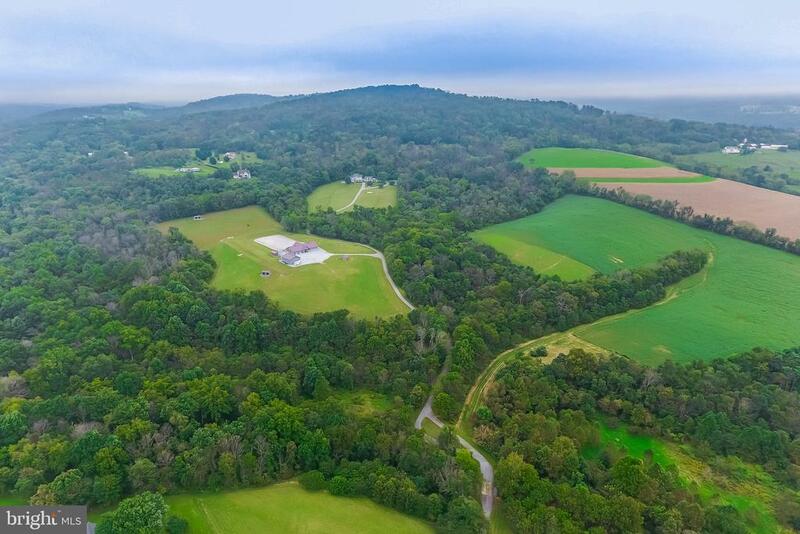 "Farm and a country estate beautifully sited on 41 acres w/ incredible panoramic views. 6 BR, 6FB modern styled colonial w/ separate quest quarters. Over 6,000 sf, 3 finished levels, gourmet updated kitchen, home theater, porches, hard plank siding, 3 car garage...the list goes on. Recently built horse stable with six 14x14 stalls, tack room, viewing room/office, ring, storage shed, fencing. See farm remarks. For residential interior shots see listing FR10360727"
"Wonderful 25 acre property with two homes, stable and fenced in pasture, creek, and beautiful views! 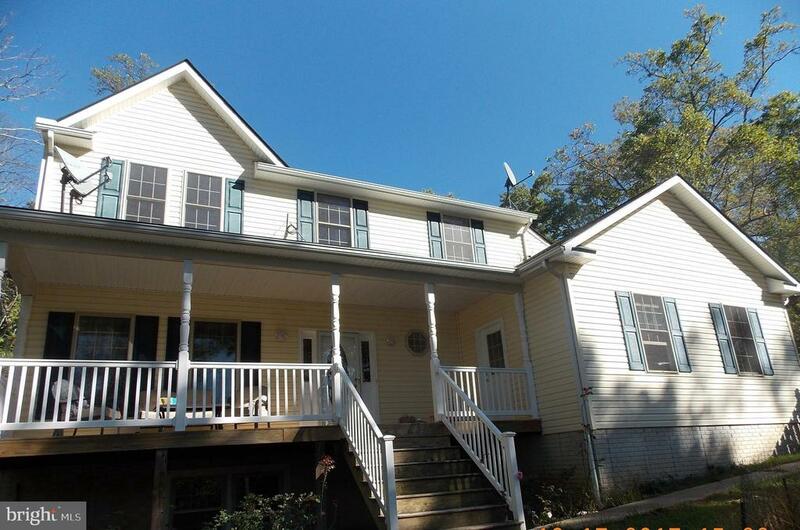 Five bedroom colonial with wrap around porch, sun room, deck, rec. room, country kitchen, deck, two car garage with loft and studio! 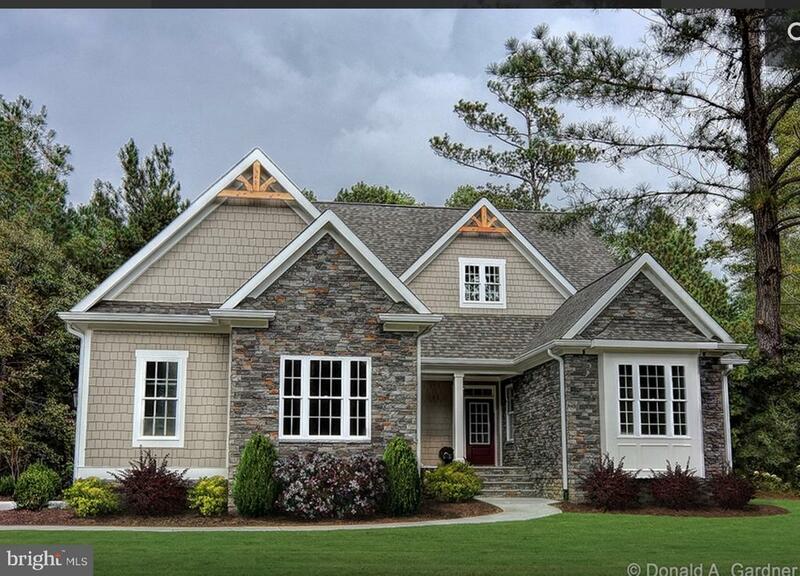 All brick, French country cape built in 2009, (like new) with top of the line finishes and exquisite details! Many opportunities with this property! MLS# MDFR190776 included." "This beautiful farm house with modern day amenities offers 4221 sq. ft living space, plus a two car garage with an enclosed room in rear with sliding glass doors and covered porch to enjoy the beautiful views. This room can be used for studio, exercise room, hobbies, etc... endless opportunities! Tree lined driveway leads you to the front of this home with a wrap around porch. Family room and living room with wood stoves to make it feel warm and cozy. Separate dining room. Large country kitchen with island, breakfast bar, and large windows to enjoy the views. Sunroom off of the kitchen that leads to large, spacious deck. This home is perfect for entertaining. Second level includes master suite and three other bedrooms. Third level is a nice large finished suite. Basement is finished too! MLS MDFR190740 included"
"For those that value excellence! This beautiful cape cod has large kitchen with custom made cabinets by Hess, ceramic tile floor, Corian counter tops, spacious pantry, plenty of windows for gorgeous view! Gracious entertaining will be yours in this formal dining room with trey ceiling, chair rail, and crown molding. Room off of center hall can be used as an study or formal living room. Spacious family room with gas fireplace, atrium doors that lead to covered deck,where not only do you have a view, but the relaxing sound of water from the creek! The master suite is spacious, multiple closets, trey ceiling, garden tub, double vanity, separate shower, and entry to the deck from master. Two bedrooms on upper level with large full bath. Laundry room on the main level. as well as in the basement. Basement needs some finishing touches with some supplies that convey. Basement includes large family area with gas fireplace, walkout to covered patio, kitchen or wet bar needs finishing (plumbing exist), second master suite that replicates master suite on main level, second bedroom with full bath, and plenty of storage. Quality will exceed your expectations! 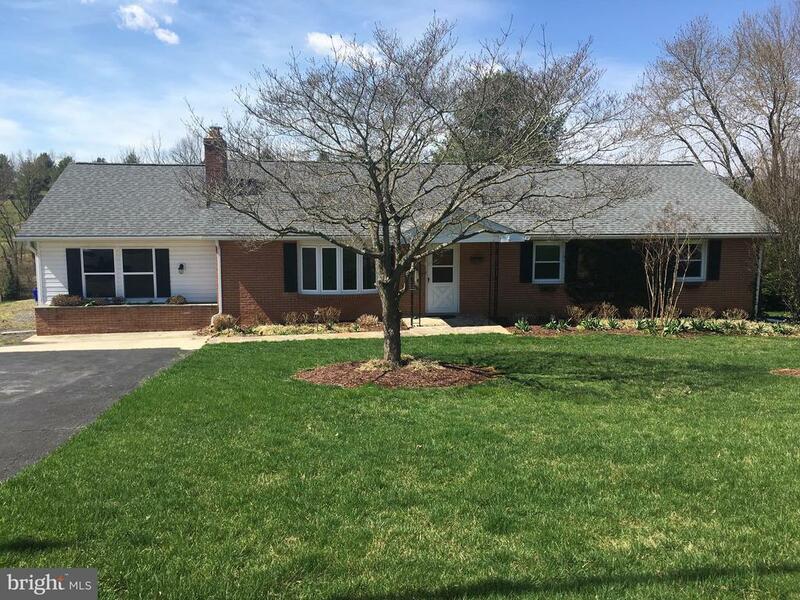 Radiant floor heat, sprinkler system, two car oversized garage, generator, central vac, wide plank hardwood floors, maintenance free deck, and more! Two homes, fenced pasture with two stall barn, beautiful views, and creek! See MLS # MDFR191194 for details of other home included. Can not be subdivided." "For those that value excellence! This beautiful cape cod has large kitchen with custom made cabinets by Hess, ceramic tile floor, Corian counter tops, spacious pantry, plenty of windows for gorgeous view! Gracious entertaining will be yours in this formal dining room with trey ceiling, chair rail, and crown molding. Room off of center hall can be used as an study or formal living room. Spacious family room with gas fireplace, atrium doors that lead to covered deck,where not only do you have a view, but the relaxing sound of water from the creek! The master suite is spacious, multiple closets, trey ceiling, garden tub, double vanity, separate shower, and entry to the deck from master. Two bedrooms on upper level with large full bath. Laundry room on the main level. as well as in the basement. Basement needs some finishing touches with some supplies that convey. Basement includes large family area with gas fireplace, walkout to covered patio, kitchen or wet bar needs finishing (plumbing exist), second master suite that replicates master suite on main level, second bedroom with full bath, and plenty of storage. Quality will exceed your expectations! Radiant floor heat, sprinkler system, two car oversized garage, generator, central vac, wide plank hardwood floors, maintenance free deck, and more! Two homes, fenced pasture with two stall barn, beautiful views, and creek! See MLS # 1001916064 for details of other home included. Can not be subdivided." "You have arrived! Relax and enjoy the view! 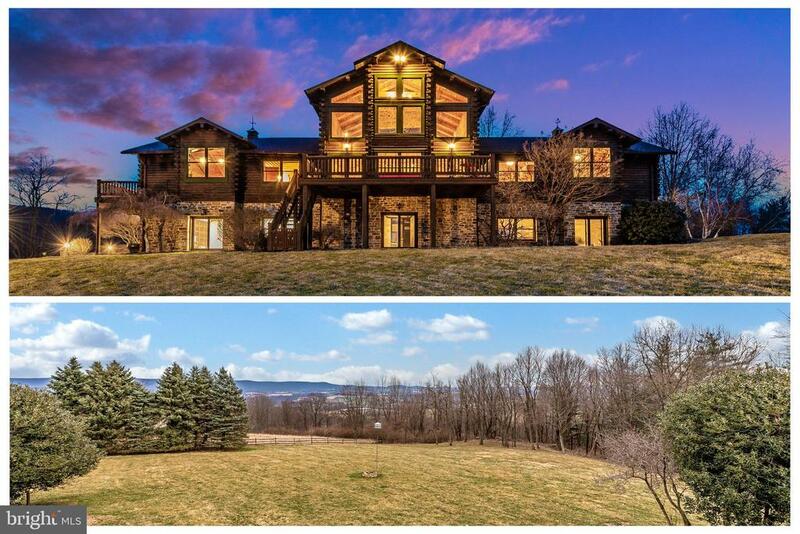 This majestic home is situated on 8 beautiful acres of rolling hills and mountains. Perfect for entertaining large parties or fun filled smaller gatherings.Its sure to warm the hearts of your guests. This home boasts tons of custom features, in-law suite, workshop and much, much more! This beauty has everything you'll ever need. Seller is motivated to pass on this home he designed and built. Solid house ready for new buyer's personal touches. Make us an offer today." "You have found your private retreat with 5,367 finished square ft! 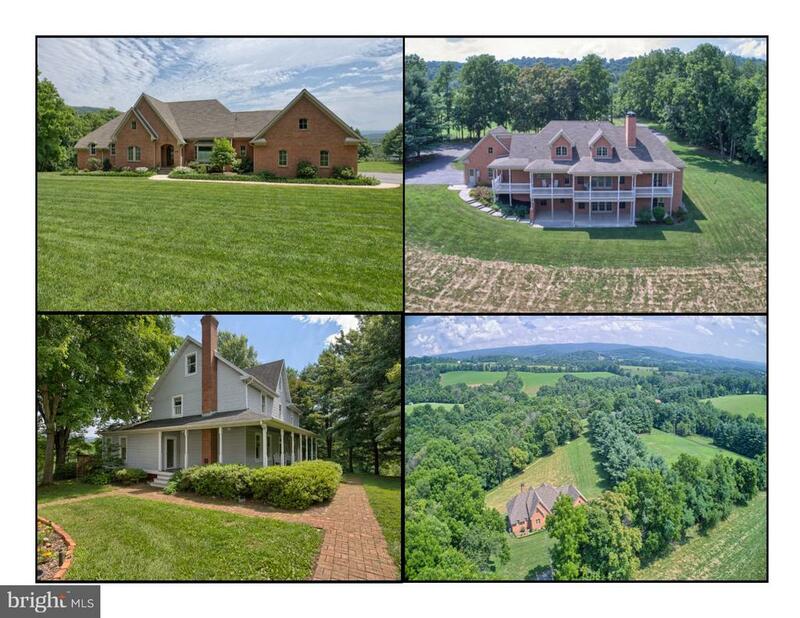 Situated on 25+ acres, delight in abundant wildlife, outdoor recreation/entertaining spaces, beautiful stream and fields. Ranch-style home with open/natural light. Fabulous wide plank hickory flooring, enjoy the majestic views as your enter the main floor into the vaulted family room, dining room and kitchen. A gourmet kitchen awaits you with top of the line appliances including a wall double oven and Wolf cook-top with pot filler faucet. The Master Bedroom en-suite is on the main floor along with 3 other bedrooms. Continue out from the main floor to the tiered paver patio with a custom built outdoor kitchen and built in fire pit. Plenty of space on patio for seating and dining. This home has plenty of land to add a pool and create your own oasis. There are 6 garage spaces, 3 attached and 3 detached that has a perfect opportunity for a tenant house/apt above. Easy access to interstate, highly rated schools. Beautiful home and setting to enjoy your private world!" "Amazing craftsmanship throughout shows at this custom log home in Myersville. Built on a slight elevation to allow for STUNNING views from every room. High ceilings, walls of windows, wood floors and a gourmet kitchen large enough to entertain a crowd! Enjoy 3 stone fireplaces to keep you cozy in the winter. We love the oversized dumbwaiter to move items between levels. There are 2 decks, one off the living room and the other off the grand master suite. The oversized garage bays have enough room for 4 cars. With over 6 acres and a large outbuilding, feel free to bring your horses. This gorgeous property is a show stopper!" "*To BE BUILT*- Great view and great location-build your dream home on this private lot with gorgeous views. This home features a front porch, first floor master bedroom with 2 closets, 3 bedrooms up with a loft and 2 full baths. Gourmet kitchen has granite counters and ceramic floors. Breakfast nook with lots of window to enjoy your view. Actual home based on options chosen at contract." "Enjoy luxury living in a country setting! 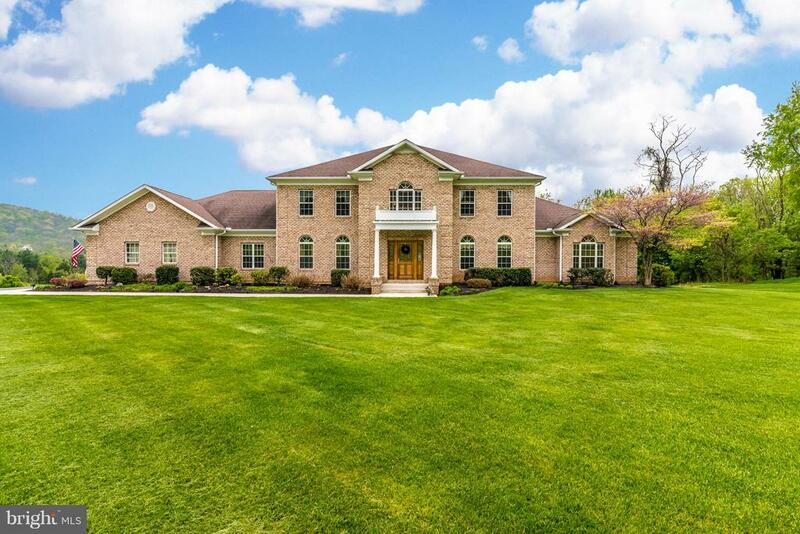 This stately brick colonial sits on 1.35 acres. It's an amazing location across from equestrian acreage. This home boasts a gorgeous kitchen with granite countertops and stainless steel appliances with wall to ceiling cabinets! You'll love the family room with its floor to ceiling propane gas fireplace. Enjoy 9ft ceilings and hardwood floor throughout. The Grand Master Suite is a dream come true! This master includes vaulted ceilings, a sitting room, walk-in closet and master bathroom. Enjoy gorgeous scenic views from your Trex Deck. Enter through the home's double front doors adorned with custom detailing and call this your forever home! Commute to Frederick, Baltimore, and DC. Schedule a private showing to see everything this home has to offer!" "Same great house! New Lower Price! 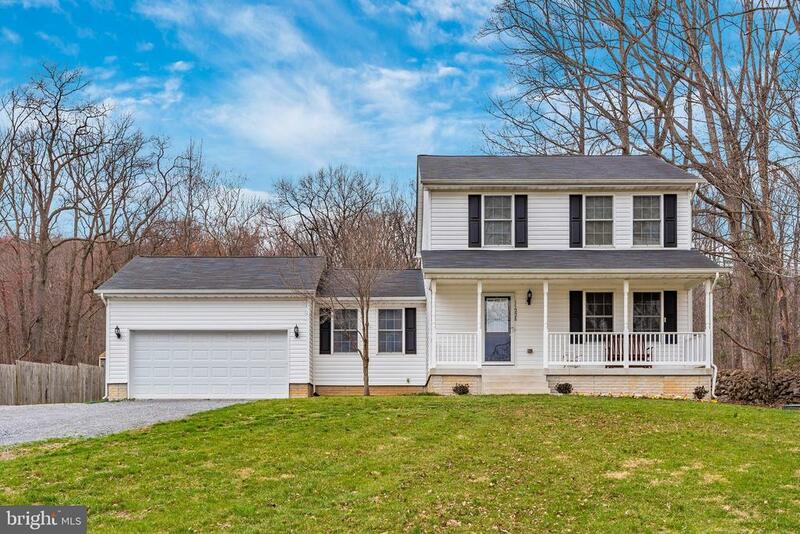 10538 Church Hill Road in Myersville, MD, is your Bucket List Mastered! 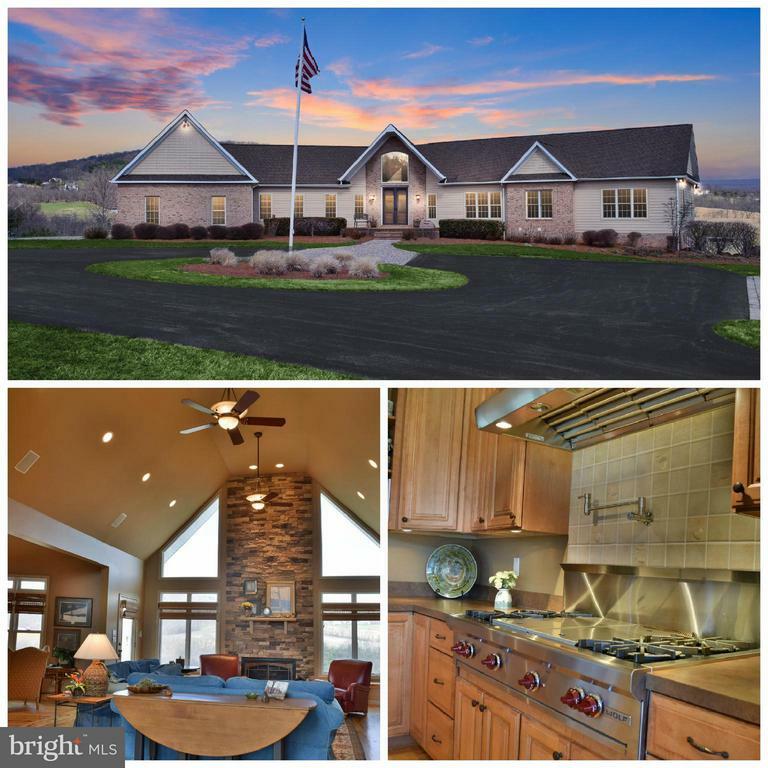 Majestic Mountain Views meet Classic and Comfortable Style in this move-in ready home, boasting hardwood floors and an open, entry level floor plan. If your Must Have Bucket List consists of mountain views, sought after schools, spacious living with entertaining options, enough bedrooms for kids, guests, and even more guests, a separate dining room large enough for extended family to gather and gossip, office space perfectly sized for the work-from-home entrepreneur, fully finished basement boasting a great room with a full kitchen & wine fridge for serving chili & chicken wings during Superbowl parties, a bonus room to double as a media room or workout space, deck and patio areas for those delicious summer cookouts and cocktails, partially fenced yard for your four legged friends to roam, and enough land for competitive games of volleyball, corn hole and horseshoes, or late night camp outs under the stars...CHECK IT ALL OFF!!! Arrive home to a southern style, tree lined driveway and pull into your two car garage. Drop your keys and shed your coat in the mudroom/entry and make yourself at home. 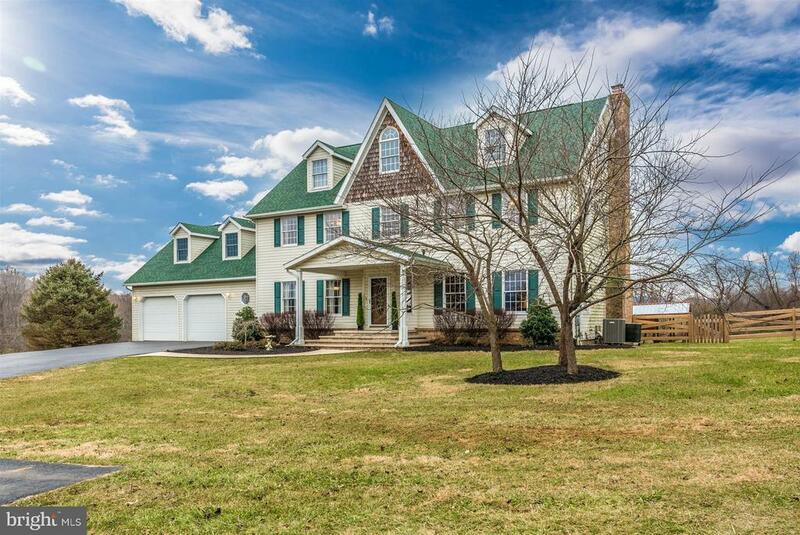 Schedule your private showing today, and come see for yourself...all that is missing from 10538 Church Hill Road, in Myersville, MD, is you! Join us on Sunday, January 6th for a public Open House from 1:00 pm-3:00 pm. One Year HMS Home Warranty included." "Fabulous Home in Saber Ridge Community with many upgrades! This Gorgeous Home boosts, High Ceilings, Gourmet Kitchen, Stainless Appliances, Gleaming Hardwood Floors, Master Suite with Luxury Bath. Spectacular light fills this Stunning Home.Relax by the Cozy Fireplace in the Spacious Living Room or walk out to the Deck and sit admiring beautiful views. Finished Basement with extra rooms for storage. Home also includes a large Fenced Rear Yard ! Close to Shopping,Schools and Parks. 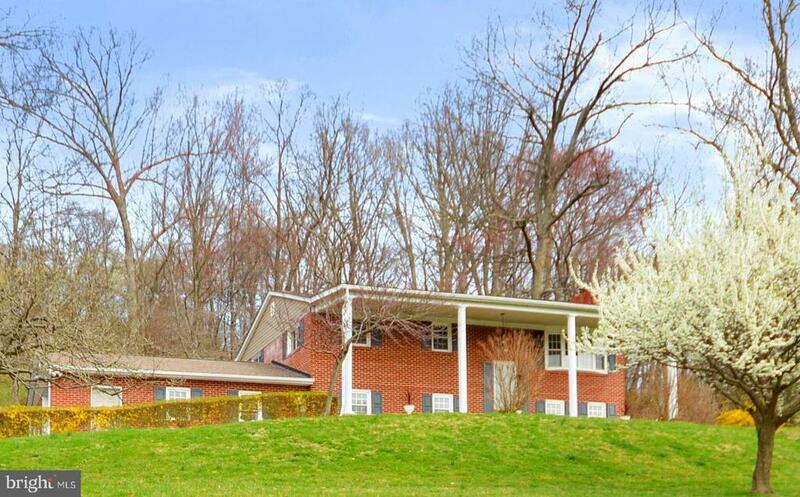 Open House Saturday April 13th 2pm-5pm"
"Beautiful Center Hall Colonial - close in location but private park like secluded setting with mature trees. Nine foot ceilings, hardwood flooring, soaring double high foyer entry, open floor plan, large gourmet kitchen with quality cherry cabinetry, large island, built in wine bar, stainless steel appliances, and granite counter tops. Large rooms, master bath with Jacuzzi, and shower stall. Four large bedrooms upstairs including the owner's suite with sitting room, master bath, and walk-in closet. Two-car attached garage. Daylight basement walk out. Basement is already framed in for very large in-laws apartment with private entrance. Located in idyllic downtown Myersville, a quiet small town with beautiful views. Blue Ribbon schools. Walking distance to parks, post office, store, hiking trails. Two minute walk to elementary school. 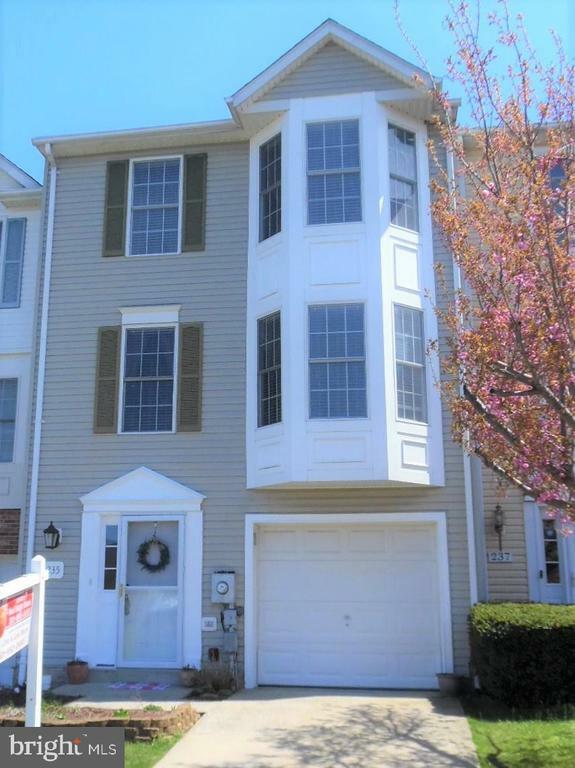 Conveniently located close to I-70 and a short commute to Frederick or Hagerstown." 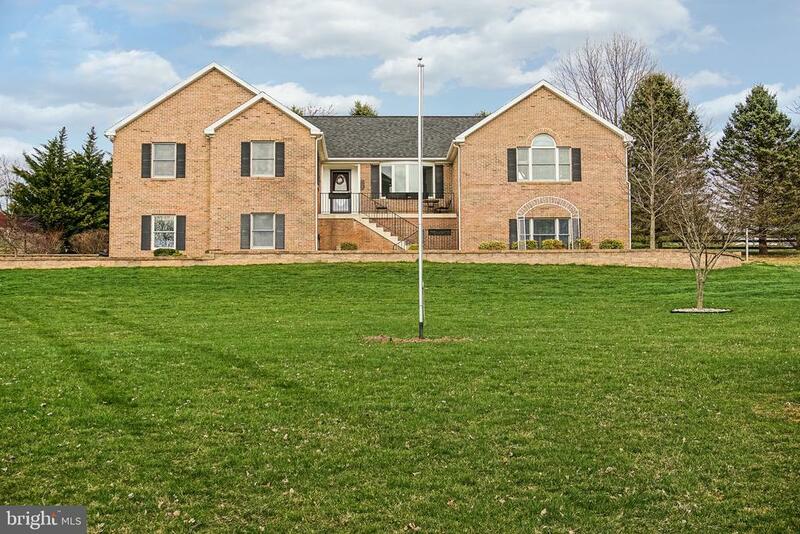 "You will fall in love with this stunning all brick home in Myersville situated on a beautiful 1.62 acre wooded lot. The main level offers a two story foyer, gleaming hardwood floors, formal living room & dining room. The kitchen has 42 cabinets, a breakfast bar, stainless steel appliances & room for your breakfast table. The bright two story family room is complete with a gas fireplace and open to the kitchen making it great for entertaining. Rare first floor owners suite complete with a walk-in closet, full bathroom with a large shower and jetted soaking tub. The second floor offers four more spacious bedrooms & another full bathroom. The basement offers a huge rec room, plenty of storage and walk-up access to the backyard. Two car side load garage, first floor laundry room & powder room, fantastic front porch with breathtaking panoramic views, back patio & more." "This beautiful home has spectacular mountain views as well as view of pond and is located on 1.20 acres. Exterior has 4 sided brick and drivit. Features include 3 bedrooms on main level, 3 full bathrooms on main level, 2 bedrooms and 4th full bathroom in finished lower level. Huge great room, formal dining room, gorgeous kitchen with granite counters, stainless steel appliances, large island with gas range and french doors that lead to fenced in back yard. Master bathroom has jetted tub, separate shower, double sink vanity and large walk-in closet. 2919 sq. ft. on the main level and 2919 sq. feet in fully finished lower level. Other features include shed, 2 paver patios and paver sidewalk, security system, central vac and plenty of storage. Back-up generator supplies service to refrigerator, hot water heater, heat/AC and master bedroom. All flooring in the lower level, including garage, has heated floors. 3.7 miles to Main St. in Middletown. Less than 2 miles to I-70." "Come see your new home! 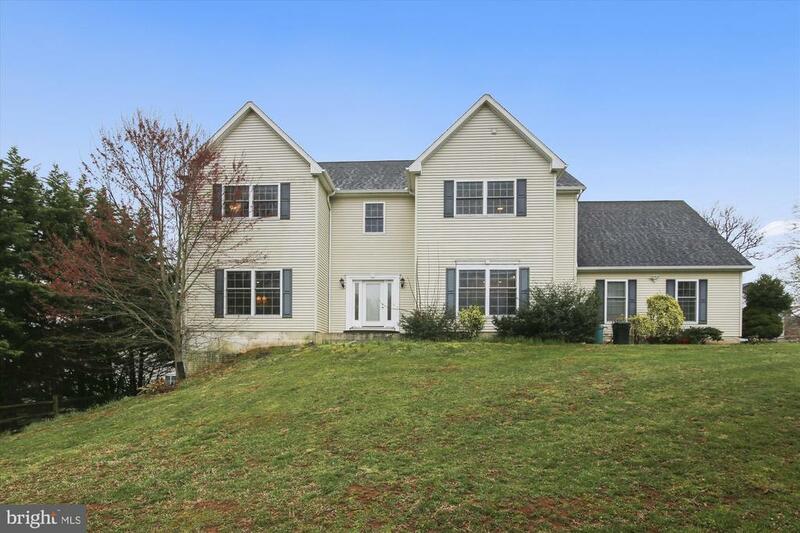 This Colonial style home is 4 bedrooms and 5 baths, with hardwood floors throughout. Kitchen was fully renovated, with flagstone Countertops in the kitchen and stainless steel front appliances. Deck and patio for outdoor relaxation. Surrounded by beautiful mountain views and private wooded area makes this property a great home if your looking for some serenity. Shopping and restaurants are a short distance away, and town center is nearby. Come see this home, will not last long!" "*to be built* New construction-buyer selects all interior/exterior colors. Features 9 ft ceiling on entire main level, upgraded cabinetry, granite counters in kitchen & baths. Full ceramic tile bath floors, bath tub & showers, wood floors in GR, Kit, DR & Foyer. 9 ft basement height; upgraded siding, shingles and interior trim. Truly your own custom home. *Photo likeness-price and final product based on options chosen at contract*Call LA for full details." "Million dollar views!Spacious contemporary home sits high on the hill, situated on 2.29 acres with amazing long range views. Open floor plan, wood floors on main level, spacious kitchen with granite countertops. Inground pool. Tons of potential!Discoloration is present in the home.Offrs to be submitted by BA using online offer mgmt system.Access via the link below. A tech fee will apply to BA upon sale. Offer link to property: https://www.spsreo.com/?c=AY6M Employees and family members residing with employees of JPMorgan Chase Bank, N.A, its affiliates or subsidiaries are strictly prohibited from directly or indirectly purchasing any property owned by JPMorgan Chase NA"
"Absolutely Beautiful brick rancher backs to Musket Ridge golf course. Gorgeous hardwood floors and large bright eat-in kitchen and separate dining room. 4 bedrooms, 3 Full Baths and 1 half Bath.Huge fully finished basement with wood stove and separate rooms. Large deck and patio overlooking golf course and stunning views." "Sit on the front porch and enjoy the views!This beautifully renovated brick home is situated on 1.7 acres ~ 3 BR + Den ~ 2.5 BA~ New gourmet kitchen w/easy close cabinets & SS appliances ~ beautiful hardwood floors on main level, luxury vinyl plank floor on lower level~ Recessed and LED lighting throughout ~ Finished lower level ~ All new bathrooms ~ New heat pump ~ Covered patio~ 2 car over-sized garage ~ Great commuter location!" "Don't wait to see this adorable home with beautiful mountain views from the covered front porch. 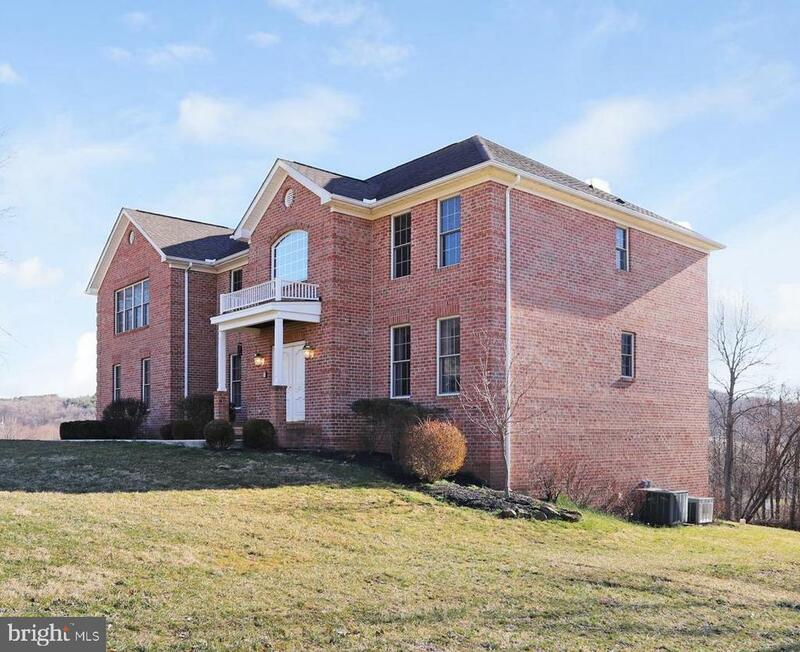 Private location with huge yard, comfortable floor plan to include both living and family rooms on main level, master bedroom with private bath, huge basement space with extra room for play room or guest room, and a full bath. Nice level backyard backing to open field and woods on one side. Won't last!" "Welcome to this peaceful Myersville retreat. 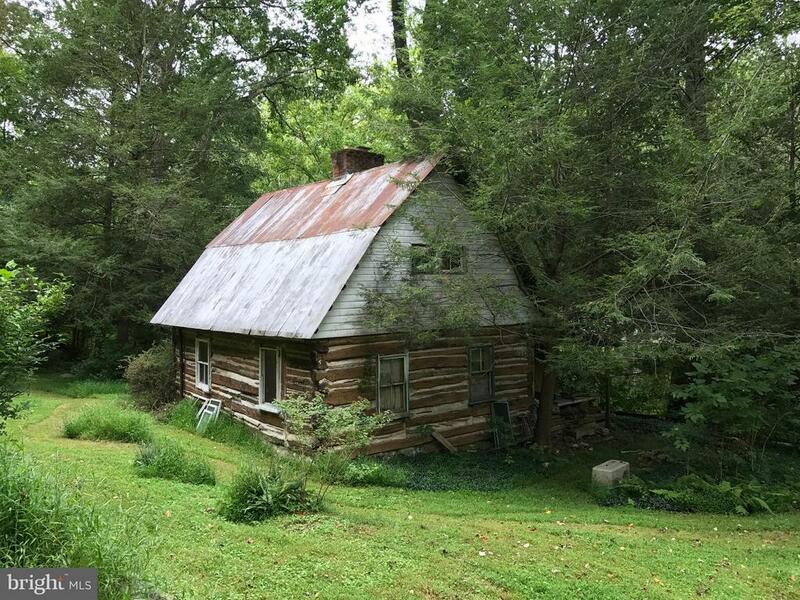 The sellers have used this cabin as their getaway and are now ready to pass it on to you. Keep the chestnut wood cabin or [possibly build a house on this over 8 acre parcel of land. Relax while listening to sounds of stream. Land is bordered by Wolfsville Road and Highland School Road. Cabin has electric and phone service." "Surrounded by mountain views in a small quaint Community. Spacious open style kitchen w/bow window overlooking the back garden, all fenced in and backs to common area. Pergo plank floors in the living rm, just replaced the carpet. Master suite has vaulted ceiling & private bath. Good access to rt 70."